Ranch A is 645 acres along Sand Creek near Beulah, Wyoming. There are three historic buildings, and other buildings that are used for long-term rental or storage. Please refer to “Facilities” and “History” for more information. Ranch A is owned by the state of Wyoming. 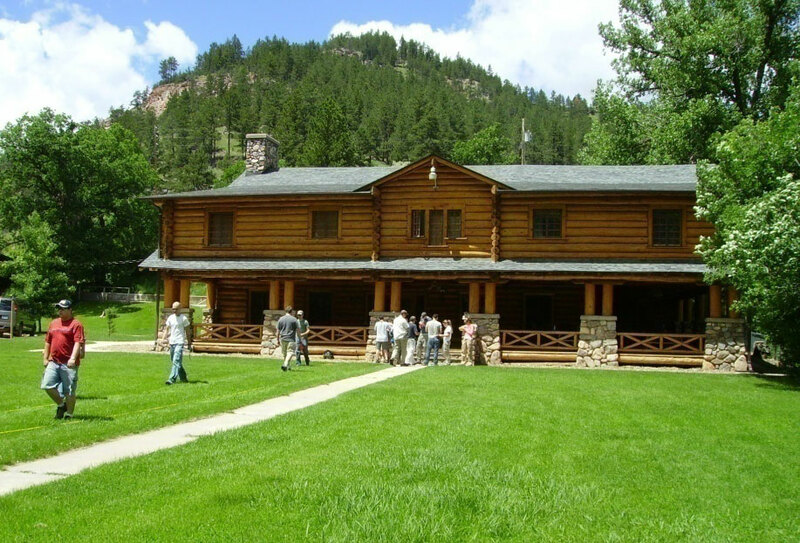 The Ranch A Restoration Foundation is entrusted with responsibility of running Ranch A. Two resident managers have the authority to rent the facilities and carry out the policies and directions of the Foundation. Is there high-speed internet access? Yes. This was installed in 2017. No. Cell phone service generally becomes available about 3 miles to the north along Sand Creek Road. Are the grounds available for renters of the Lodge? Yes. We have large lawns and outdoor spaces. What transportation is available to get to Ranch A? There is no public transportation to Ranch A. You can fly to Rapid City or Gillette and rent a car. Only with permission of the resident Manager, and in the locale he designates. During drier seasons Crook County may also issue a ban on fires, which will be enforced. Why must we remove our boots before going in the Lodge? To prevent damage to the historic wood floors in the Lodge. Yes. With a valid Wyoming License. Sand Creek provides excellent trout fishing. Why do I see cows by the creek? They are used for fuel reduction as a natural method of fire hazard prevention. This is rural Wyoming. For the most part, you will need to provide your own transportation. What are the main types of users of Ranch A? What are the future plans for Ranch A? The short term goal for Ranch A is to maintain the historic structures and grounds. The Board hopes to see the historic barn developed into an Event Facility within the next 5 years. The Board wants to develop additional areas on the property that may be used for special occasion rentals. The Board wants to expand membership in the Foundation and to solicit additional donations.